This piece is about 16 printed pages long. It is copyright © Anthony Howell and Jacket magazine 2009. See our [»»] Copyright notice. stifle analysis with your joie de vivre! — why make of messages a roman des letters? must add an elegance to the je ne sais quoi. — should the wife deputise for a femme de chambre? sullies the finery of Les Fleurs du Mal. — down with the preference for les neiges d’antan. glide in your gondola under ponts des soupirs. note the vacuity of your cause cèlébre. cherish the legacy in your objets trouvés. just provides enemies with du Coeur au ventre. — lovers at loggerheads miss the mise-en-scène. irreconcilable with le coup de maitre. reading some oracle in your Deux Chevaux. Is this you or is it not? The dock leaves turn to rust. The thistle heads are fluff. Curtains stir. A breeze defers to calm. I think of Bruno’s softness. His deft, relaxed footwork. And so I come back like a troubadour to the love of words. Behemoth. And what it is to hover between meaning and music. From such pure fountains can the curtains stir. Though likened to pasta… The calm took offence. After years of hardship, both ends interlocked. The music of little bottles of Kölnischwasser. And many other areas which could eventually take us beyond dressing up in Fancy Costumes, to create a fusion of these free holidays and European superiority. Heavy drinking and general public displays with floats. This was the lugubrious gondola. The wrap is an entanglement. The demon began to flex his muscles. But adjectives beginning with the letters of his name. Plus ça change! And the bird? Below the Colossus of the Sun-god. Clara gazed down over the cliffs. As a serpent, she loved deeply and was extremely loyal and forgiving. The north star glimmers through the letters of his name. Rain and the yellowing leaves. Is an argumentative music suggesting a tension between couples. Yes, and here, the barbarians had stormed in. Two nights ago it snowed, early, unusually so. Ice which had still not melted as the afternoon turned to dusk. – However “incorrect” it is to say so. And we have to look at danglings which alter position. It’s about counter-poise, but what do I mean by that? Between one visual target and the next. In relation to the centre. Impulse-bred or perceptually guided movement? There is a right and a left-sided disease. Those with the left-sided symptoms seem to make the bigger errors. Like a smile of scorn, the gondola were sinking. And frankly, we are not minded to assist its resurrection. Like the intellectual leadership of the League of David. Rain pouring down, and a flower-patterned dressing-gown. The Old Rhine Bridge. And it was raining pianos in Dűsseldorf. All wearing fancy-dress, and he held his hands to his face. While carried home, sodden, in a drunken crowd of revellers. Looking with her new eyes into his new countenance. And she took for granted the halo from him must also exalt her form. Looked mildly in from the upper deep out of the ether. “Allwyn had not played his violin properly. An event that didn’t rate an entry. Or an accompaniment? That is, do we contribute our rhythm? The waving nervous and flighty, the wraps entangled, immersed. That depends on the counter-leaning of the other. Whether or not it is danced to music-poetry. Might suggest interruption, irritation or response. Breaking the embrace has been just been a tangent to this story. And the demon begins to flex volcano, full of fragments of rock. A partly tentative relic expressing a tension between pianos. So it’s not some sort of tension between “Florestan” and “Eusebius”. It has a quality of whisk, as a horse whisks its tail at flies. But after a year or two of hardship, he became the doyen of Russian society. Handing him the laurel and the flower. Is this you or is it not, now you have to think like a romantic? Complex double-wrap ganchos that sink the lugubrious gondola. Like his Nocturne No. 16. A wrap, as Homer prefers to call it. Yes, and as for Florestan, he never took his eyes off her. The discretion of the lead. He takes little steps. He is deft. A limited set of options. Stabs – in line or sideways. What makes the black leak away? Is what I would like you to solve. Do occur in Chopin’s nocturnes. Her free leg waves as a result. He sank away into musing. A series of famines resulted from a dance of witches. But then sidestepped to the right. And in the evening he told the children stories of fairies and Doppelgangers. And finally, take to the streets begging. It was the virtuosity of his wife. With Marlboro Lights rather than Woodbines. And terrifying hailstorms precede most introductions. The street carnival which is known as Weiberfastnacht. Their own insights which tended to lock up the limbs. And failures may follow, with puzzling grain. Honestly, we can’t always be telling it how it is. That we perceive how, emotionally, we are often hobbled. Is learnt unconsciously, walking for instance. And pulls his hair; as you might pull the follower. Ever more grounded, ever more into the soil. For this is nothing less than the path of a dancer’s soul. Tangles of the bushes. Yellowing leaves on their backs. But I comprehend and appreciate Sophocles more easily. Cauterize the Huron. Matchsticks chuckle and slacken. For this is nothing less than the heart of a lancer’s mole. Caused by the effects of ergot alkaloids on the limbs. Elements of the emotional turmoil she longed to express. Now bloodless, a dusky evening sky lies hollowed out. Standing locked and dumb, with dark windows in the garden. Something you read your own meaning into. I’m firing all flesh-and-blood muses. But I am not amused. for subject matter, however trite. I like the idea of a vessel in the jug of water sense. Don’t want to promote content. Like the leaves left at the bottom of a teapot. 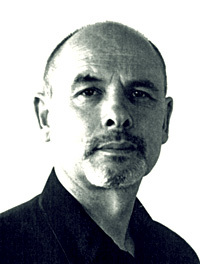 Anthony Howell was born in 1945. A former dancer with the Royal Ballet (1966), he has always been as active in literature as he has been in movement. His first collection of poems, Inside the Castle, was published in 1969 (and reviewed by John Tranter in Poetry Australia magazine). In 1973 he was invited to join the Program for International Writers at the University of Iowa. He has received numerous awards and bursaries, among them a £5000 writer’s award from the Welsh Arts Council. Recently he has become immersed in dancing the tango, and in 2001 he received a grant of £6000 from London Arts to develop his tango ability. He then spent some three months in Buenos Aires, contributing a piece on his experiences to the Times Literary Supplement and another to The Buenos Aires Tribune. Many of his poems concern dancing, and his new novel Oblivion is a thriller set in the world of the tango.